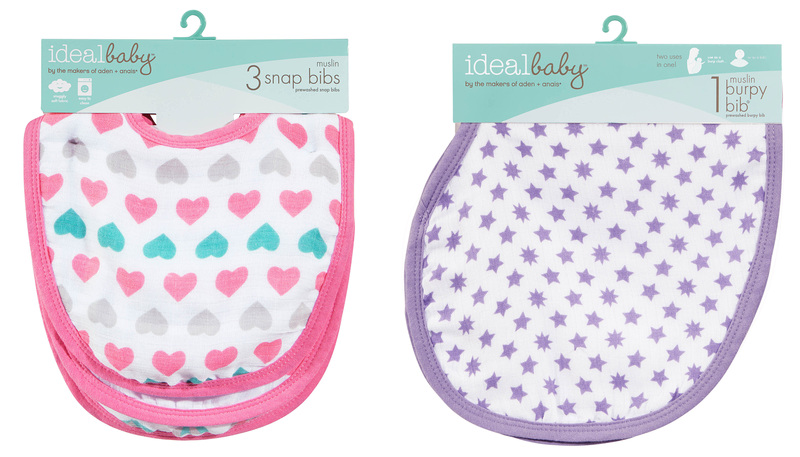 Keeping with their mission to create high quality products to simplify the lives of parents everywhere, aden + anais® created their third sub-brand: ideal baby. 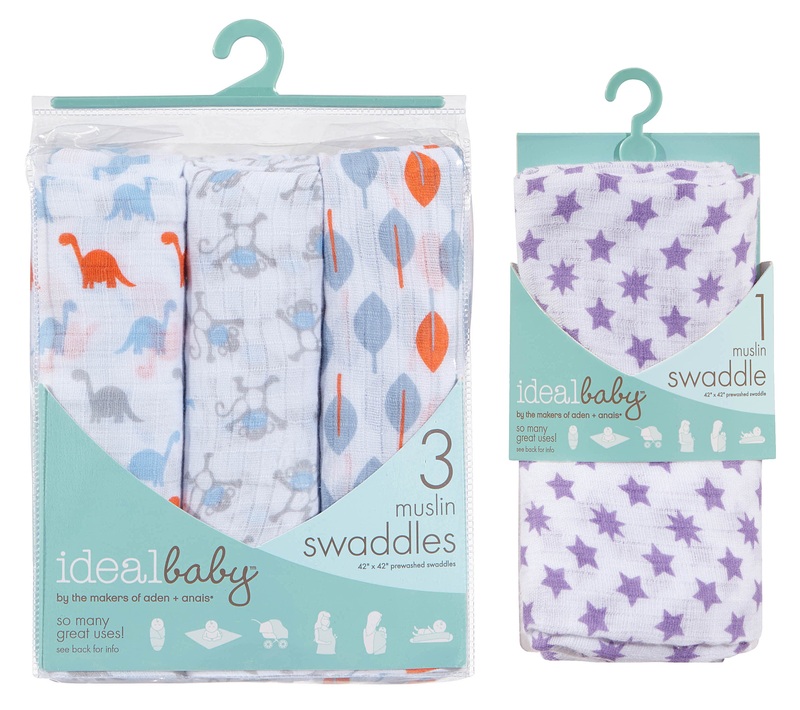 ideal baby targeted big box and drug stores, with products at a lower price point without sacrificing quality, for a different demographic than their other two tiers. The prints are brighter and more simplified, making it more versatile and accessible. The key was to make it recognizably a sub-brand of aden + anais. 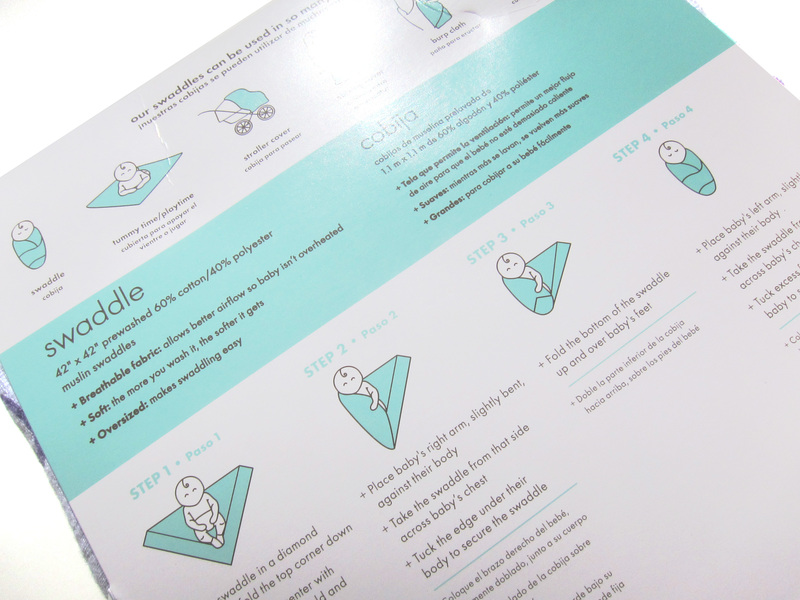 The same colors and similar illustration style were utilized, as well as the introduction of the slope that was introduced in their new rebranded products. The slope was doubled to make the packaging look like it was hugging the product, making it more friendly. Education for this demographic was also key. 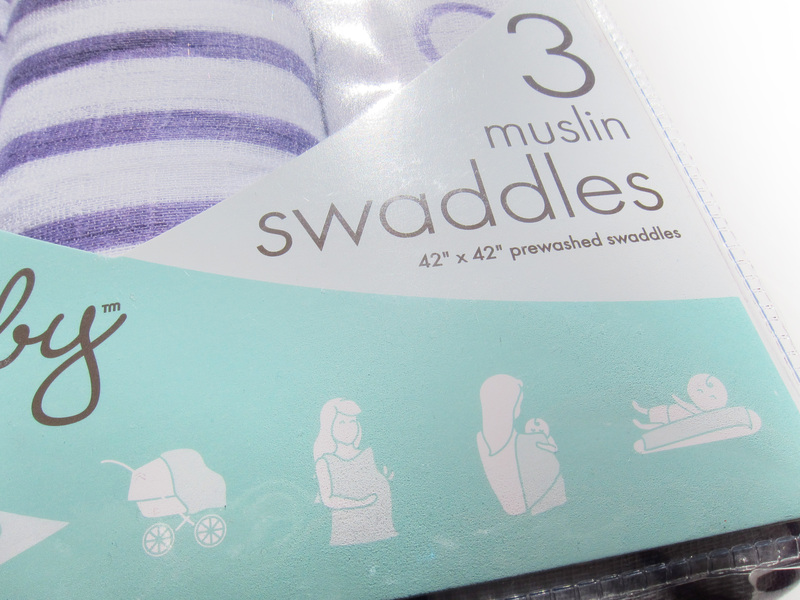 Tips and pointers where placed on each product to better educate the consumer on ideal baby, what muslin is and other parenting advice. Illustrations were used instead of lifestyle photography to show the product being used.